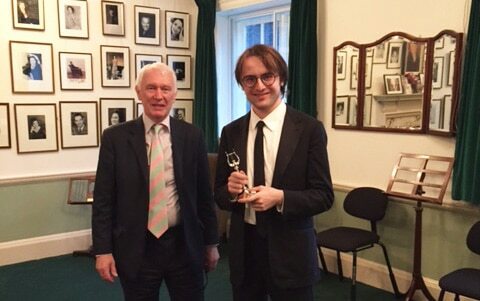 Russian-born pianist Daniil Trifonov’s busy international touring commitments meant that he was unable to be presented with his award by Nigel Brown on the night of the RPS Awards Dinner 2016. They caught up together this week when Daniil performed with baritone Matthias Goerne a programme of songs including Schumann’s ‘Dichterliebe Op.48’ and ‘Four Serious Songs Op.121’ by Brahms at the Wigmore Hall. Experience Daniil playing JS Bach-Rachmaninov ‘Partita No3 in E man BWV 1006’, with his acceptance speech for the Award at 4”.